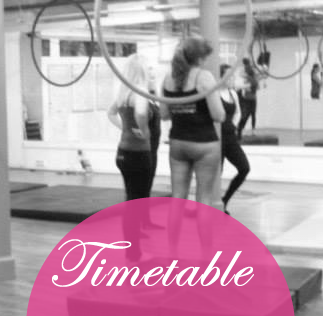 Blush Dance Instructor Team have extensive backgrounds in gymnastics, dance, aerial, flexibility & fitness. Our team are qualified in their disciplines, hold valid insurance, CRB and first aid certificates. 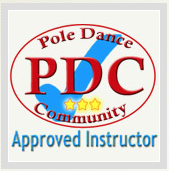 Our pole instructors are Pole Dance Community Approved. Becky background is in dance and fitness. Professionally trained as a contemporary performer and worked as a fitness instructor and manager of health clubs prior to establishing Blush Dance in 2008. 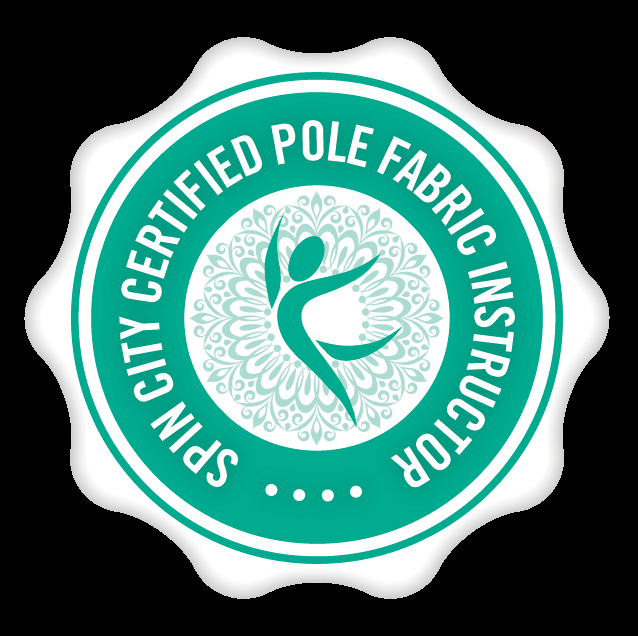 Becky now enjoys managing & teaching at Blush, being a mum and working nationally and internationally delivering Spin City Instructor training courses in Pole Fitness, Pole Fabric and Aerial Hoop. Becky has also written and accredited Blush Burlesque Fitness Teacher Training Course. She has worked professionally as a dancer, tutor and choreographer for over 10 years, with many exciting credentials including appearances on Gok Wan’s ‘How To Look Good Naked’, and ITV’s ‘The Royal. Becky’s professional background has covered training in many dance styles including contemporary, ballet, tap, jazz, and aerial arts. Fusing her physical abilities with her passion for embracing everything fabulous, fit and feminine; Becky’s sessions always ensure fun, informative unique dance experiences! Becky has trained with the worlds leading pole & aerial teachers and performers including Bobbi, of Bobbi’s Pole Studio Australia; Michelle Shimmy, Gaelle Jeanine, Dan Rosen, Kristy Sellers, Sarah Scott, Kate Edwards, Felix Cane, Bendy Kate, Lisette Krol, Oona Kivela, Natasha Wang & Elsie & Serenity Smith of NECCA & Cirque Du Soleil. S-J is an experienced teacher of many dance styles including ballet, tap, jazz, contemporary, and street. S-J joined Blush in 2008 when we first started as a student attending street dance, pole fitness and Burlesque classes. S-J joined our teaching team in 2010 delivering burlesque fitness and later delivering aerial hoop classes and kids parties. S-J works full time as a dance teacher as well as delivering burlesque fitness classes for Blush. S-J has choreographed & performed alongside Blush students at Showcases and charity events since our first one in 2010! S-J love’s to teach dance and motivate people to gain new skills and have fun whilst working towards performing or getting fitter! Megan O ‘ Dwyer : Instructor & Assistant Studio Manager at Blush Dance Stockport. 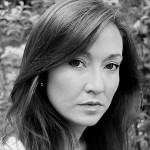 Megan has a professional background in commercial dance, drama, ballet and Musical Theatre. 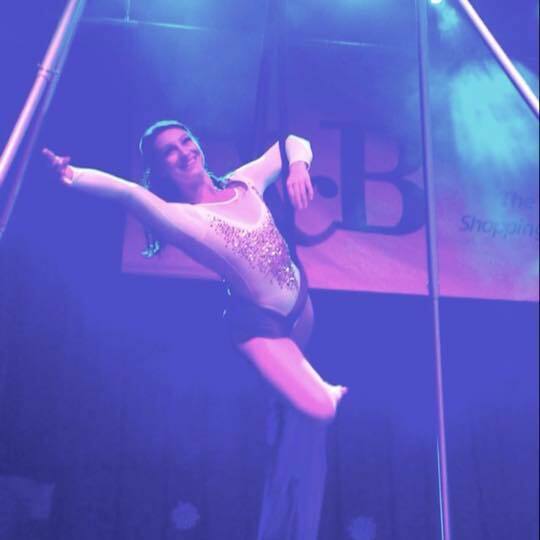 Megan has practised aerial hoop, and silks since 2013, pole fitness since 2015. She regularly performs as an aerialist with Blush Dance at showcases and corporate events. 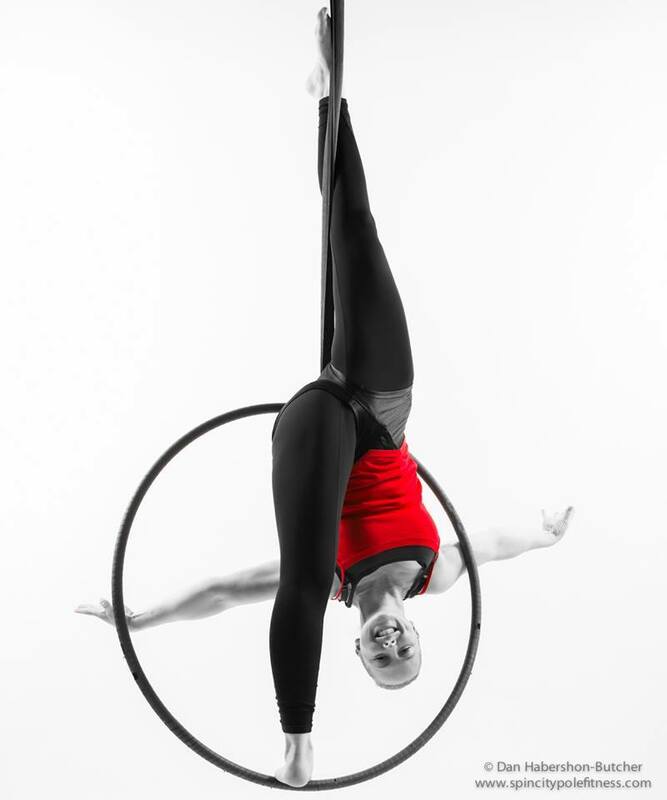 She specialises in kids aerial teaching and also running the stockport studio as the assistant studio manager. Vicky is a rhythmic and artistic gymnast coach, who has trained at Blush since 2008. 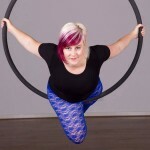 As well as an extensive gymnast background, Vicky trains in Aerial Hoop, Pole Dance, Aerial Silks, and enjoys fun variations in the air such as Tippy Hoop, and Pole Fabric. 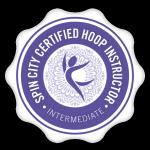 Vicky completed her Spin City Aerial Hoop certificate to teach beginners and intermediates in 2014, she has been featured as a model in the 3rd & 4th edition of the Spin City Aerial Hoop bible, the Spin City Doubles Aerial Hoop bible and Spin City Advanced Aerial Hoop instructor Training Manual. 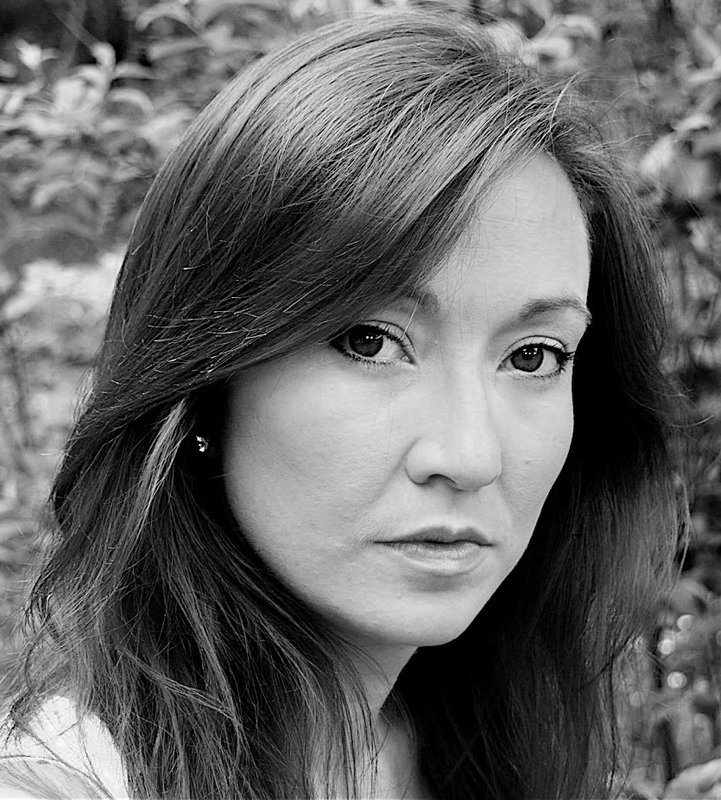 Karen joined blush in 2014 with a wealth of previous dance and teaching experience. 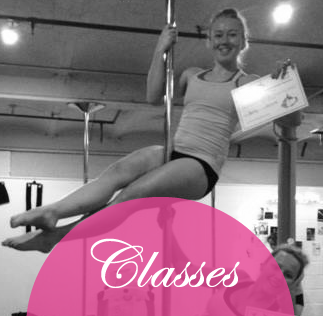 She started as a student and an apprentice pole fitness teacher, moving into becoming a Blush Franchise owner in 2015. Karen’s background is in illusion and dance. Karen was a National Young Magician of the Year finalist at 15. Karen gained a BTEC national diploma in Dance at college and was accepted into a top professional training school The Urdang Academy. After graduating Karen went straight into work assisting in choreography for production shows at Warners Hotels, as well as dancing professionally within the shows herself. Karen was fortunate to have been part of a successful illusionist duo called “David and Karen.” They auditioned for the well known TV talent show Britains Got Talent. In 5 years of the show the magic duo were the first to impress all the judges and went straight through to the LIVE semi finals where they came 3rd in their heat and 2nd by the public vote. During this period David and Karen had interviews on Daybreak and This Morning. After the viewings on the show Karen and her magic partner went on to perform at a number of corporate events, headlined at prestigious places in London,such as G.A.Y, HSBC & Toyota! Beckie joined Blush in 2010 as a student training in Burlesque & Pole Fitness. 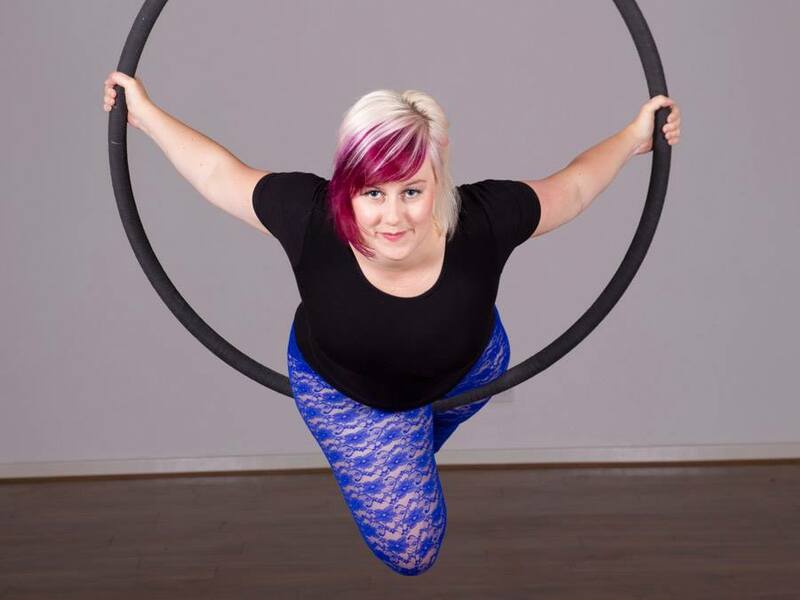 Her passion for aerial started when our aerial fitness classes first started in 2012. Beckie was one of our first students to perform on aerial hammocks and hoops at our student showcase. She has never looked back. Beckie joined our aerial teaching team in 2014 and since has trained as a Personal Trainer, Massage Therapist and continues to develop her skills in fitness by regularly attending training courses. 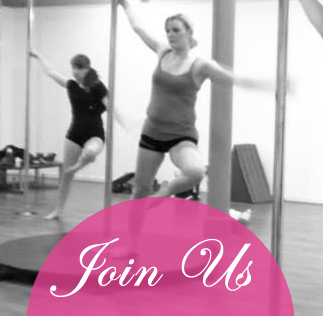 Emily joined blush as a student, training in private pole sessions with becky in 2014. She developed through the blush pole fitness syllabus with great enthusiasm, especially for training both sides of her body. This meant she has build great foundations and discipline in her training. She entered her first pole competition in 2015 and placed 2nd! Emily joined our pole teaching team in 2016 and is one of the most energetic and positive members of our team. You cannot fail to be inspired when Emily is in the room. An assistant manager in the hotel industry by day, Emily enjoys balancing her work and her hobby. Emily is also a great fan of strength training in the gym. Jess joined Blush as a student in 2013 and has enjoyed pole fitness classes from a beginner to advanced student. She added Aerial Hoop classes to her regular training and now enjoys both Pole Fitness and Aerial Hoop classes. Jess loves our student showcases and has performed in the group pole and aerial hoop routines in 2015, 2016 and 2017. 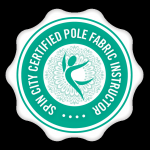 Jess joined our apprentice programme in 2017 and trained alongside Bex, Emily and Karen as well as studying Spin City training courses to gain valuable pole teaching skills. Hannah joined Blush Team in 2017 as a Pole Apprentice. 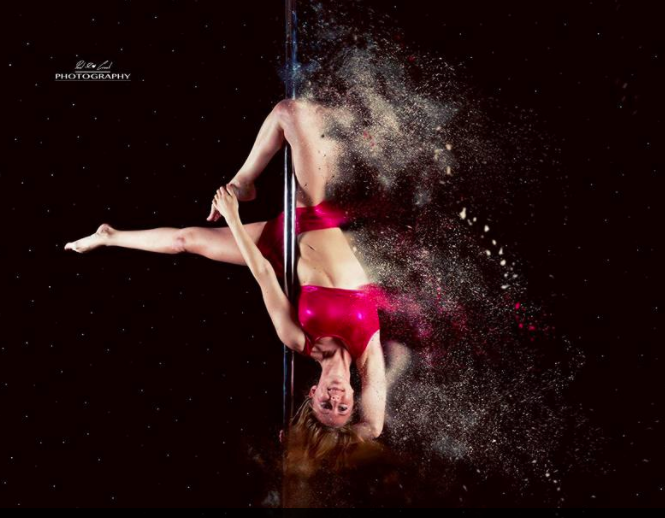 She has been training at Blush since she joined our Pole Dance Society Classes in Fallowfield.